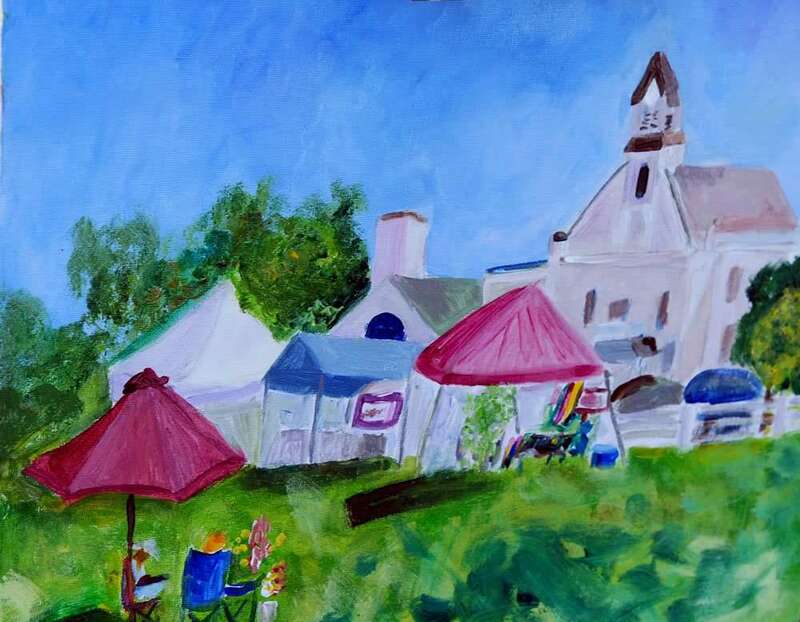 The Craftsbury Farmers Market & Plein Air Northeast Kingdom are hosting the 3rd annual Vermont Plein Air Paint the Common. Plein air artists will position themselves in various locations on the Craftsbury Common green and paint during the hours of 10 AM to 1 PM. Visitors are welcome to watch the magic each artist brings to their artwork. 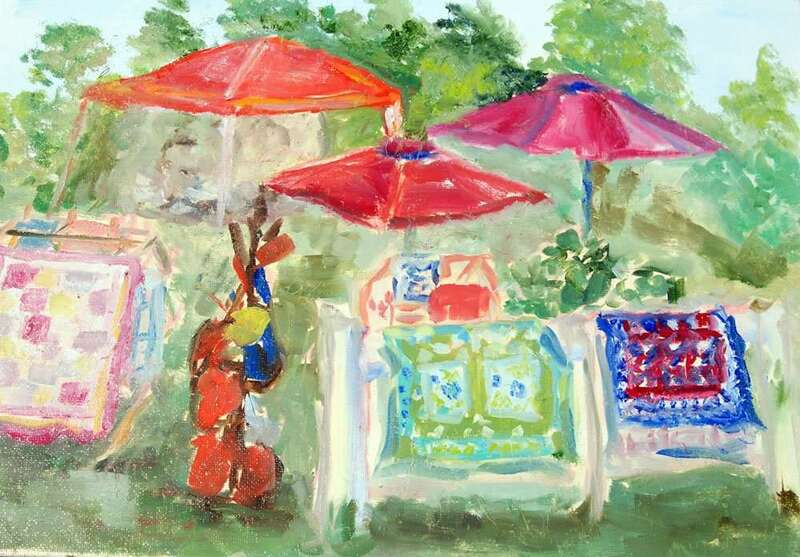 Plein air artwork will also be for sale at the “artist’s booth.” Part of the proceeds of any plein air artwork sale will be donated to the Craftsbury Farmers Market. Vermont provides the perfect en plein air subjects with her pastoral scenes, mountains, covered bridges, waterways, villages, farmers markets, festivals… One can find a suitable Vermont plein air subject just about everywhere you look. The Craftsbury Common town green is one of the most stunning Vermont venues for just about any outdoor activity. The green is literally surrounded by a white post fence and lots of white buildings including Craftsbury Academy, the United Church of Craftsbury and Sterling College. Although not required, we would love to know you are interested or planning to come to this event. You can let us know here. PS – Are you a plein air artist or interested in trying plein air painting? Checkout our Vermont Plein Air Call for Artists.